Christmas Morning Outfits: Day 5 of the 12 Days of Christmas! For many years growing up, our cousins slept over from Christmas Eve into Christmas Morning. My dad would make this big Christmas breakfast before they went off to their other grandparents’ house. 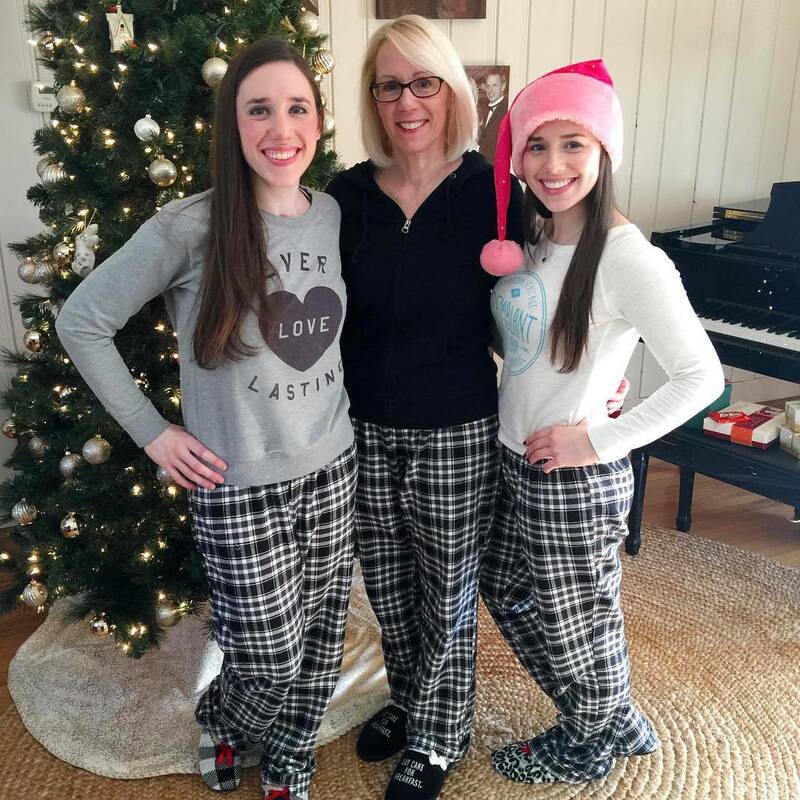 On one Black Friday, my aunt and my mom bought us all matching PJs for the Christmas Eve sleepover, and now we match every year… even though they don’t stay overnight anymore. I think this is a super fun tradition that also has resulted in my owning several pairs of flannel pajama pants… not complaining about that! If I find the original photo of our matching PJs, I’ll add it to this post… but for now, here’s last year’s photo. It makes Christmas morning even cuter: if that’s possible. Kids always look cute when opening Christmas gifts… parents in the background of the photos, not so much. So with matching PJs, you might actually get a family photo worth sharing! … I’m trying to think of another reason, but that seems to be the only one. These really aren’t too hard to find, but you need to plan ahead a little bit. We usually buy the pants at Old Navy, last year we waited until Dec 23, and they were out of certain sizes and everything. This year, there seems to be more options. Target: For 2017, Target made matching PJ sets for the whole family. In other stores, the mens and womens designs are different, so you can’t all match… this way everyone gets to wear the same print! Apparently, the dog can match too! Amazon: And if you don’t feel like leaving the house, try Amazon Prime! There’s still time to receive a shipment by Christmas! I would just worry about things fitting when you don’t have time to return/exchange. And since this is a sewing blog…. Here’s a pattern to make your own PJ pants. I just feel like they’re so cheap from Old Navy or one of these other sources. Don’t forget that your time is valuable, too!